DISCLOSURE: I received free product from Influenster to facilitate this review. My opinions are my own. I don't know anyone who doesn't like Hershey's Kisses. They're a great chocolate treat that I believe everyone has eaten! 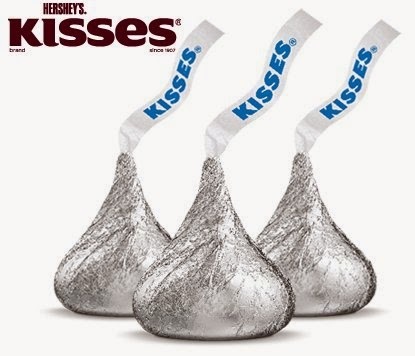 So, it was pretty awesome to see a huge bag of Hershey's Kisses in my J'Adore VoxBox from Influenster! My whole family loves Hershey's Kisses. We even have a Hershey's Kisses cookbook that my daughter picked out at a book fair when she was maybe 4 or 5 years old. She didn't want the Pinkalicious books or anything like that. She wanted the chocolate cookbook so we could bake yummy treats together! And so, that's what I wanted to do when I saw that I would be receiving Hershey's Kisses. I wanted to bake something with them. 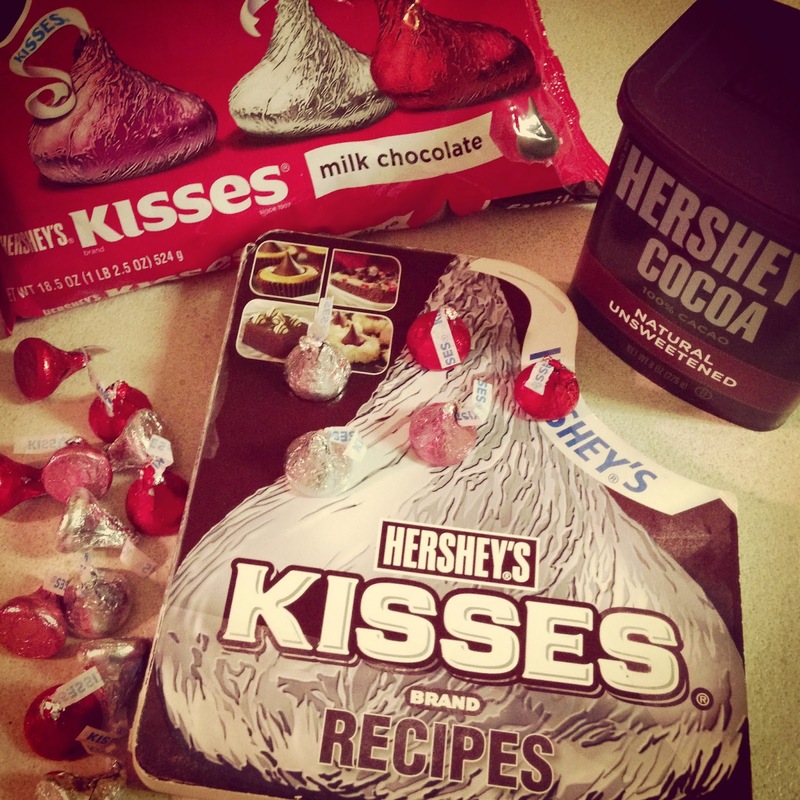 So, I pulled out the Hershey's Kisses cookbook to look for something yummy to make. At first, I was thinking cookies. But, ha, I got lazy and decided to do brownies instead. 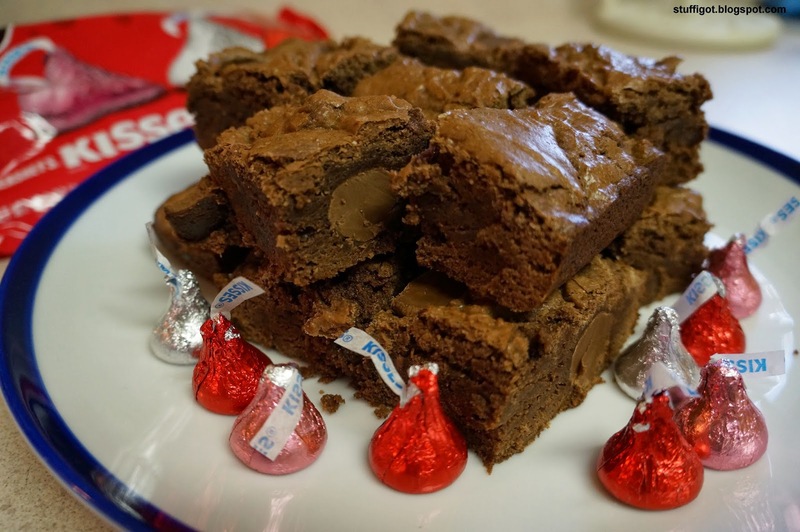 I usually make this recipe with Hershey's Mini Kisses. But, I figured, maybe it will be even better with full size Kisses! 1. Heat oven to 350 degrees F. Grease a 13x9x2-inch baking pan. 3. 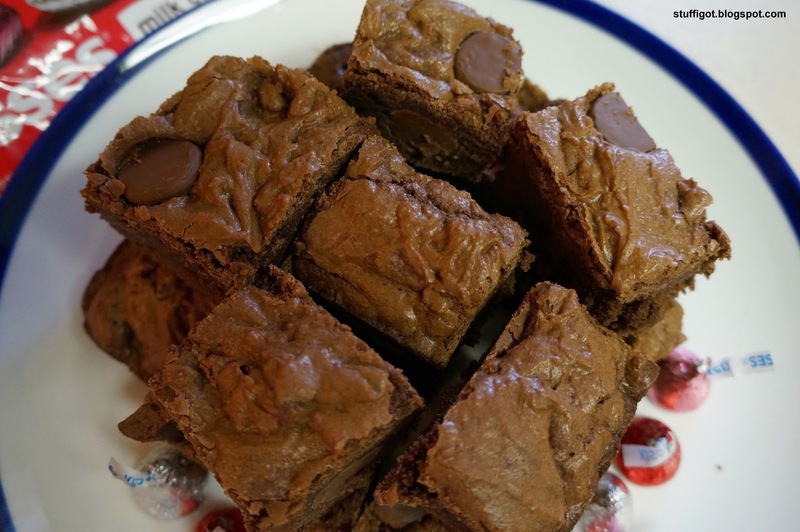 Bake 30-35 minutes or until brownies begin to pull away from the sides of the pan. Cool completely in pan on wire rack. Cut into 2-inch squares. The suggested retail is $5.29 for an 18.5 oz bag and $3.28 for an 11 oz. bag.